Item2019-03-12-31 - Where would we be without her? Item2019-03-12-32 - Library Out of Funds? A newspaper article about the unveiling of a planning model for a new Bradford Public Library at 100 Holland Court. 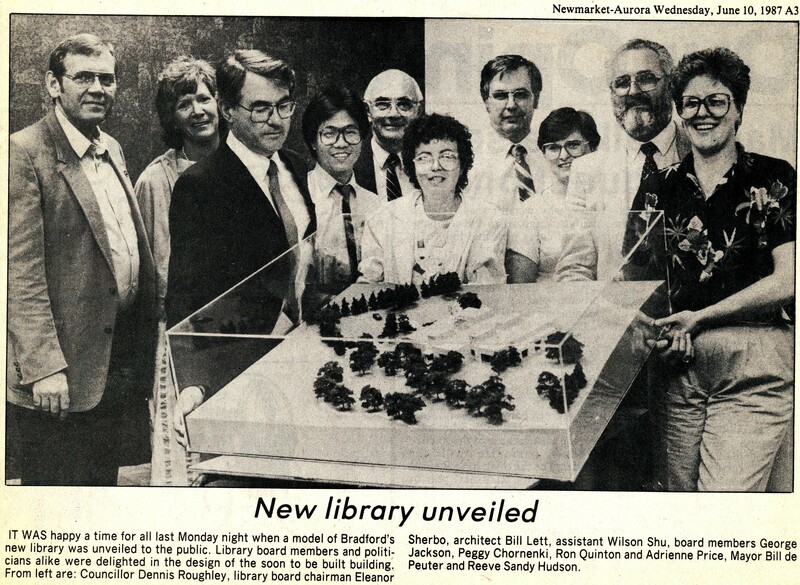 Included in the article is a photograph of the building model and (L-R): Dennis Roughley (Town Councillor), Eleanor Sherbo ( Library Board Chairperson), Bill Lett (Architect), Wilson Shut (Architect's Assistant), George Jackson, Peggy Chorneki, Ron Quinton, Adrienne Price (Librarian), Bill de Peuter (Mayor) and Sandy Hudson (Town Reeve). 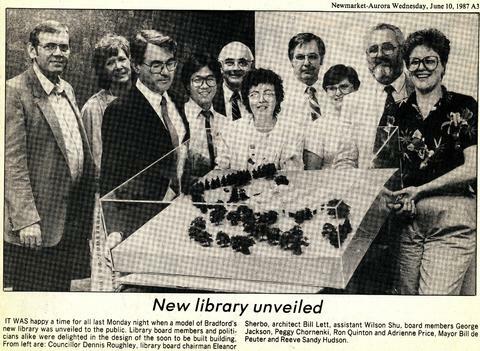 "IT WAS happy a time for all last Monday night when a model of Bradford's new library was unveiled to the public..."